The liturgical Commemoration of St Francis was celebrated on Saturday the 4th of October. St Francis is together with St Catherine of Siena, the patron saint of Italy. The feast of Our Lady of the Rosary was celebrated on Sunday, the 5th of October 2014. Mass was at 4.30 p.m. The procession did not take place due to the bad weather. During the Mass the cathecists were given the approval of the parish priest for the new pastoral year. 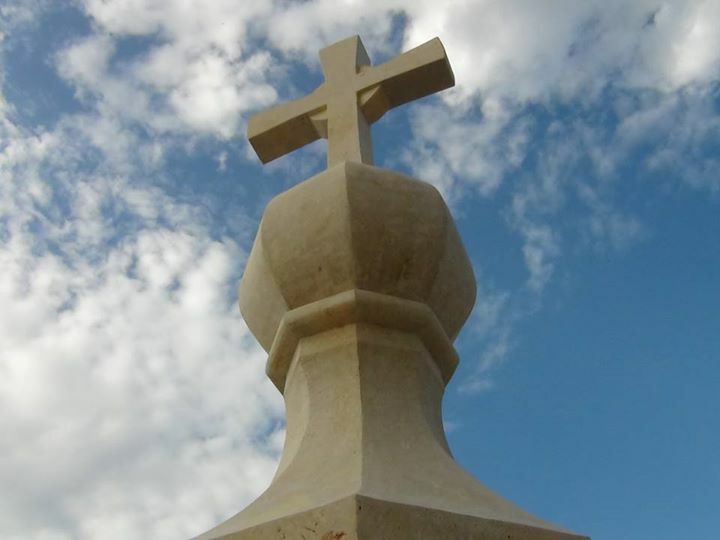 The new cross that will be put in place on Saturday the 11th of October was blessed after the 4.30 p.m. Mass of Sunday the 5th of October by Archpriest Rev. Canon Reuben Micallef. Work on the church’s dome is still going on. ‘Is-sena tad-Duttrina’ or the new pastoral year was inaugurated during the Mass of the Feast of Our Lady of the Rosary. The teaching of catechism will take place on Monday and Fridays from 5.00 p.m. to 5.45 p.m. in the premises of the Society of Christian Doctrine.